TALK CLEAN TO ME: CLEANING, HAND HYGIENE & VACCINATION a few of my favorite INTERVENTIONS for Flu Season! CLEANING, HAND HYGIENE & VACCINATION a few of my favorite INTERVENTIONS for Flu Season! The ugly truth is that Summer is over, Fall is upon us and with that is the start of Flu and Norovirus season. While the Flu season does not typically peak until January-February, we have entered into what we consider the "FLU SEASON" (read with the Twilight Zone theme song in mind) and truly never know when we may start to see cases or outbreaks of Influenza within hospitals, long term care facilities or schools pop up. 1. Between 2004 & 2013 the CDC logged 830 flu deaths in children younger than 18. 2. 43% of the children who died, did not have underlying conditions that put them at risk for flu complications. 3. A disproportionate number of flu deaths were seen in kids with underlying conditions such as asthma (there are currently 7.1 Million children in the US who have asthma). 4. Previously healthy youngsters appeared to die more quickly than those who had underlying conditions—one-third died within 3 days of symptom onset. Pneumonia was the most frequent complication. 5. Few of the children who died were vaccinated against flu. People with flu can spread it by coughing, sneezing or TALKING to others up to about 6 feet away! 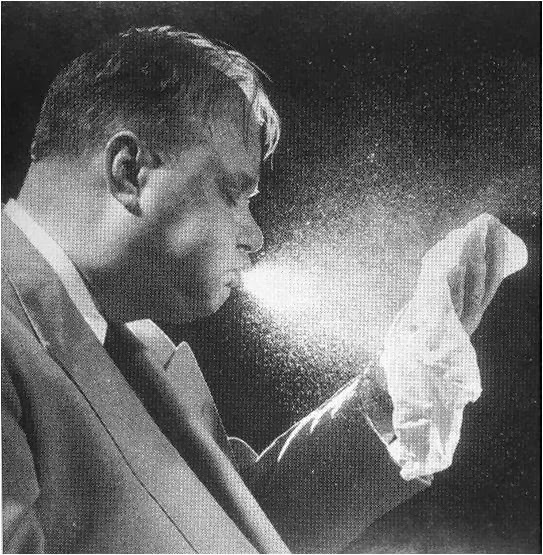 The droplets "excreted" by someone carrying the flu can land in the mouths or noses of people who are nearby or possibly be inhaled into the lungs. People can also get flu by touching a surface or object that has flu virus on it and then touching their own mouth or nose. 1. Cleaning: Environmental surfaces should be cleaned and disinfected frequently with an EPA or Health Canada approved disinfectant. Access to Pre-moistened wipes that can be easily used without need for PPE is a great way to include not just nursing and environmental services staff as the primary parties for cleaning and disinfection. Visitors, patients and students (for schools) can also do their part in helping to keep the environment clean and flu free! 2. Hand Hygiene: Wash hands often with soap and water. If soap and water are not available, use an alcohol-based hand rub. 3. Vaccination: The annual Flu shot can help reduce your chance of getting seasonal flu by 80%. The flu kills, why chance yours or a loved one's life! According to the WHO, Influenza A H3N2 is the predominant strain in circulation this year. Check out the WHO Influenza website for the latest flu trends and Influenza activity from around the world.